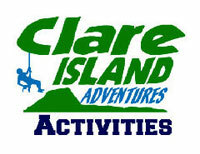 If you’re single and into outdoor adventure, we have a weekend of fun in mind for you. Every year, we begin and end the main season with a Singles Adventure Weekend, which has proven itself to be very popular with singles who are up for adventure and craic. This isn’t a match-making festival. What we do is bring like-minded people together and provide a fun environment to make new friends – single friends, with whom more than friendship may (or may not) develop. There’s something about adventure in the great outdoors – particularly the more high-adrenaline activities – that bonds people quickly. And because the focus isn’t on potential romance, there is no awkwardness either. Just strangers with a love of the outdoors getting to know others. The Beach Challenge will take place on Saturday morning, and will involve the participation of all guests. The larger group will be divided into smaller teams, and you will be tasked with an obstacle race – both on land and in the sea (the water section will be optional – not all team members need partake in that aspect). This is a light-hearted, fun activity that will set the tone and spirit for the rest of the day. Afternoon activity options to be confirmed – one water-based and one land-based. Base camp for the weekend is Go Explore Hostel and Sailor’s Bar & Restaurant. Included in the basic price is your accommodation in Go Explore Hostel for two nights. The rooms are split between male and female for the weekend. All our rooms are en-suite. 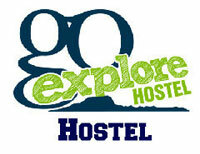 Go Explore Hostel is one of Ireland’s premier hostels. Included in your package is breakfast both days, your lunch on Saturday and dinner on Friday and Saturday evenings. Sailor’s Bar & Restaurant is fast becoming known for it delicious cuisine and fresh seafood. You will be served dinner in the intimate setting of the BARD room before a great night of entertainment. The Sailor’s Bar is a hive of activity at weekends, hosting a mix of local and national artists, with a blend of traditional Irish and contemporary folk music. It’s a popular venue with islanders and visitors from Westport, Louisburgh and further afield. In addition to swapping stories with the other weekend adventurers, you’ll find a friendly and hospitable crowd to enjoy the banter and craic with. 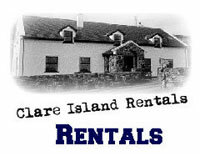 Alan & Brian from Clare Island Ferry Company are the third members of Clare Island Adventures and responsible for getting you to the island. The Ferry is also included in your package so all you need to do is show up at Roonagh Pier and they’ll take it from there. On Friday night everyone will be mixing together so by bedtime you won’t be strangers anymore. After breakfast on Saturday there will be a beach challenge which the whole group gets to participate in. And after dinner on Saturday, there’ll be live music and plenty of opportunity to continue the banter and craic. At that stage folks, if you’re not mixing, what can we say? It’s not our fault! But seriously, we don’t think that’ll be an issue for anyone at that point…. So, welcome aboard – we look forward to meeting you. All in price for the weekend is €260 per person – this covers return ferry, B&B in Go Explore Hostel, two dinners, one lunch and ALL activities including gear provision. Ex B&B (if you opt to stay in one of the local B&B’s) price is €185 per person. To confirm your space on this weekend, we just require a €70pp deposit. The balance of your payment is due 4 weeks prior to the event. For cancellations up to 4 weeks prior to the event, we retain €4 admin charge and refund the balance of your booking deposit. For cancellations within 4 weeks of the event, we retain your deposit, and refund the balance. For cancellations within 48 hours of the event, we retain €145 and refund the balance. It may be necessary to change the Saturday afternoon activity, due to adverse weather conditions or operational requirements.